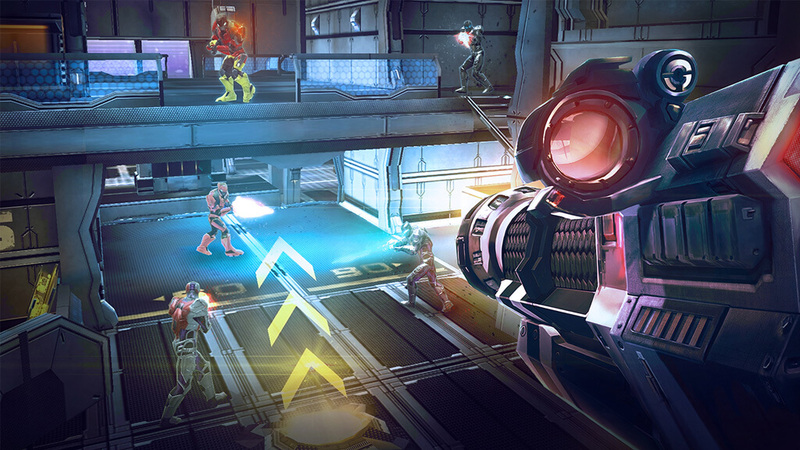 N.O.V.A.Legacy’s multiplayer is one of the best casual shooter multiplayer ever made for mobile. And now that you’ve downloaded the PC version for free here on Games.lol, you might have thought that you’ll finally pound on some noobs because of your master race platform. But unfortunately, that wasn’t the case and here you are crying knowing that you would have just played Halo instead of this since it plays similarly. Tired of getting owned by a mobile player? Let us help you out, courtesy of a player who has been in the multiplayer shooter scene for more than a decade. Some of these tips may be like baby steps but if you happen to be very new at shooter games especially with multiplayer, this is the guide for you. Now read carefully and these tips will help you hone into becoming one of the best players in N.O.V.A.Legacy multiplayer. Who knows, maybe you’ll even end up in the esports scene of this game! Ah, the art of strafe-shooting. This strategy has been used since the golden age of arena shooters starting with Quake. Since N.O.V.A. Legacy’s shooting mechanics involve minimal recoil and bullet spread, this feels like the classic early 2000’s shooter minus the bunny hopping (which we wished was in the game to make it feel like a more nostalgic gameplay). You might have come across a veteran player that you seem to not be able to hit at all. That’s because he’s strafing while you shoot at him. And what are you doing? Standing still, of course. That makes you a sitting duck and an easy target for any enemy. You HAVE to keep moving left and right to confuse your enemy’s aim. If you happen to be synchronizing your strafe with the enemy, you’ll end up looking like you’re dancing with him – which is the perfect time to hit your enemy effectively. If nothing is going on at the moment within those precious seconds, reload immediately. The last thing you want is facing an enemy with little to no clip in your gun. Assault rifles are good for mid-range and slightly long-range combat. Has a fair fire rate but shoot in bursts so the camera doesn’t shake a lot. Great for medium to large maps. SMGs are best for close range. Has a very high fire rate and can empty your clip fast. Great for small maps. Shotguns are also good for close range and have the potential to one-shot any target. Better make sure your enemy is right inside your reticle for sure damage. It has a very bad fire rate but deals the biggest damage. Best for small maps too. Sniper rifles are best only for long range and can do one-shot damage on the head. Best for large maps. Rocket launchers are best for groups of enemies. Take this with you on Team Deathmatch. It has a very slow reload time so make sure every shot counts. Also works well on any map. Now that you are done reading this guide, it is time for you to embark on your own N.O.V.A Legacy adventure on Games.lol! Start playing N.O.V.A Legacy on PC today!